Were back! and were faster than ever, well over 140% faster to be precise, out with Xampp on windows, in with Ubuntu Webmin! Wait… Webmin isn’t that taboo? Well, yes, it is but its got loads of features and is really easy to do otherwise time consuming tasks that could take minutes and turn that into a couple of seconds, for example, adding a virtual host to apache2 would require FTP and a bit of nifty .txt editing, but with webmin, its a couple of clicks away, practical in the long run, but it does have it’s drawbacks. 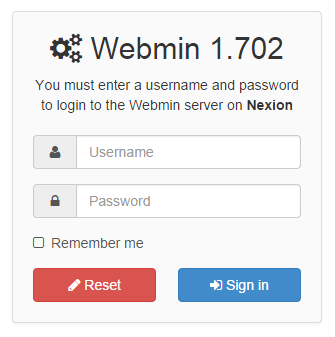 Plus webmin is easy to use and quick to configure, so Ill be doing a couple tutorials on that soon enough!